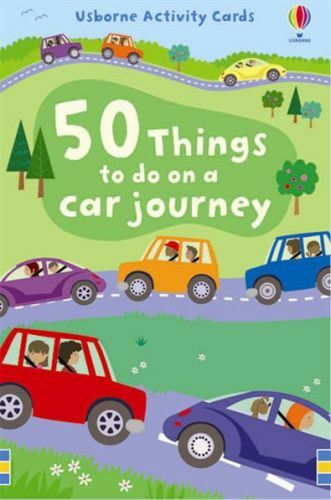 50 things to do on a car journey is sure to keep children (and adults!) amused for hours. 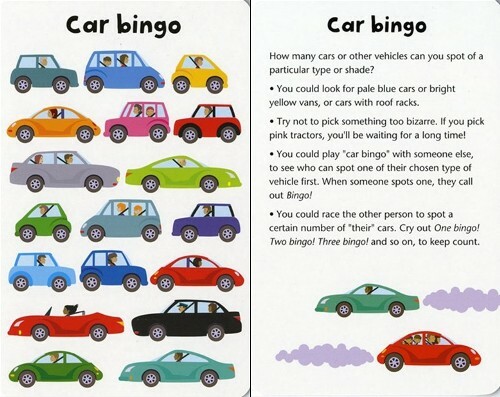 Includes games, puzzles and quizzes using everyday objects found inside the vehicle or seen out the window. 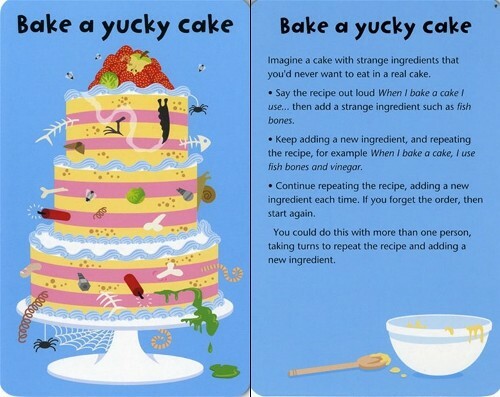 Every card is colorfully illustrated and contains clear, step-by-step instructions. The cards are durable and robust, ensuring repeated use. Contained in one box, ready to go. Box dimensions are 12 cm wide x 16 cm high, weighing approx 350 grams.